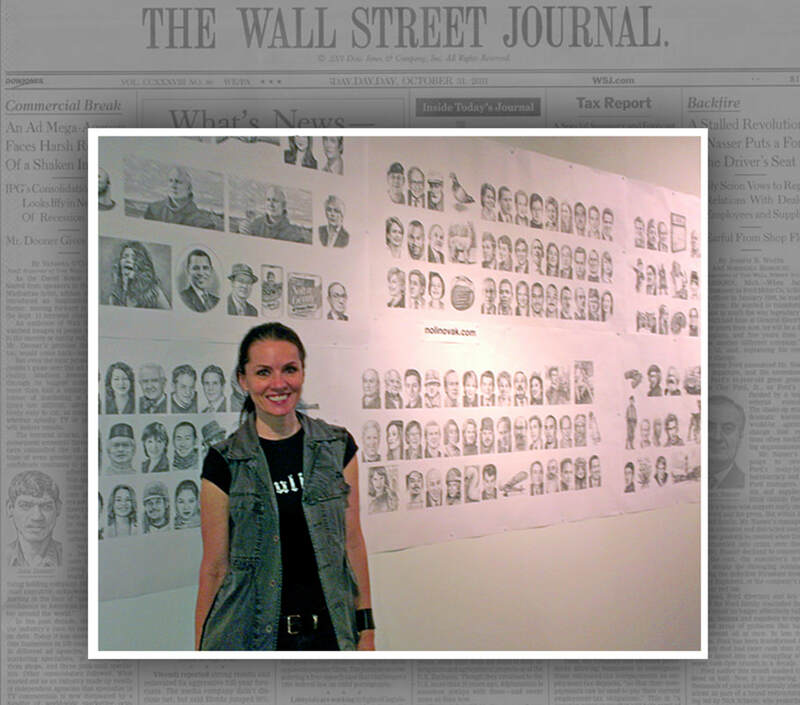 Since starting her employment as a graphic illustrator at the Wall Street Journal in 1987, Noli Novak has created tens of thousands of iconic "hedcut" drawings for the paper and a wide variety of clients, including: international publications, corporate brochures, advertising, product and website illustration, and social media avatars. Known for her ability to capture the intricate details and essence of her subjects, her artwork is highly sought after by the corporate world and by individuals looking to obtain an original, hand-drawn work of art. As the early WSJ hedcuts were created solely for use in newsprint, over the years, Noli has lead the evolution of the hedcut technique and assisted the Journal with adapting their brand to reflect modern technology. In 2005, Noli received an Award of Excellence by Communication Arts. Her illustrations have been exhibited in a number of gallery shows. After the 9/11 attacks, Noli relocated from New York City to Jacksonville, Florida, where she continues her employment with the WSJ remotely. Originally from Croatia, Noli's 1984 visit to the States resulted in an unexpected, long term stay and careers in both visual arts and punk rock. While her passion for music hasn't diminished, her career in the visual arts remains her main focus. Noli, along with her husband, is a part of the local CoRK Arts District, where they both carry on their interest in fine art screen printing, paper collage, and collaboration with regional artists. ​​Noli works part of the year from her off-grid cottage, built on a remote island in the Adriatic Sea.